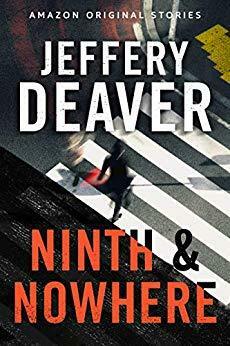 In this electrifying short story by New York Times bestselling suspense master Jeffery Deaver, the destinies of seven strangers intersect in ways no one sees coming. It looks like just another gray March morning in the tough urban district nicknamed Nowhere when seven lives converge: a young man intent on buying a gun; the gangbanger who cuts him a deal; a by-the-book police officer on a last patrol; an advertising executive keeping secrets from her husband; a veteran haunted by a combat death; a single dad in a bitter custody battle; and a sharp-looking businessman en route to a new job he desperately needs. Any one of them could have a dark motive. Any one of them could be walking into a trap. When the fog lifts, it will all be much clearer—that a single, shattering act of violence has marked each of them forever.